Imagine that a movie featuring the songs of your favorite singer has hit the theaters, and you visit the nearest theater to watch it. Theaters have Dolby Digital surround sound speakers. When the speakers play the sound, the sound quality will blow your mind. You will have to purchase a high-quality Bluetooth speaker, television with woofer, home theaters or the best headphone to get a similar experience at your home. Why you have to do so? Well, headphones that ship with a new smartphone might not be of great quality. Where can you buy headphones? Earphones are available for purchase at local shops or in the malls for within Rs 200 to 10K. If you trust eCommerce portals more than the local shops, then you’re at the right place. Sony has fitted this high impedance over-the-ear headphone with lightweight cushions. Hence, your ears will not hurt when you are wearing this device. XB-450 supports audio frequencies ranging from 5000 to 22000 kHz. Sony has equipped MDR-XB450 with a 3.99 feet cable and a 1.18 inches driver unit. XB-450 has 166 grams weight and 100 dB/mW sensitivity. It is one of Sony’s leading and best-selling products in India. It’s priced at 1800 Rupees. XB-50AP is a good alternative to the above device. It packs a 12mm driver unit. This device enables you to answer incoming calls. If you’re wearing XB-50AP, you can switch between the incoming call or music easily. XB-50AP is an in-ear earphone with comfortable silicone earbuds. It supports sound frequencies between 4 kHz and 24 kHz. It costs 2500 Rs. CX 275s is a top rated product from Sennheiser Electronics LTD. It is encompassed with neodymium magnet. CX 275s features a 3.5mm jack and it is fitted with a 1.2m cord. It weighs 14.9 grams. CX 275s supports noise isolation and 17 to 23K Hertz sound frequencies. The earphone’s impedance is 16 Ohms and it offers superior build for extra comfort to your ears. It is fitted with a microphone module so that you can answer incoming calls quickly. 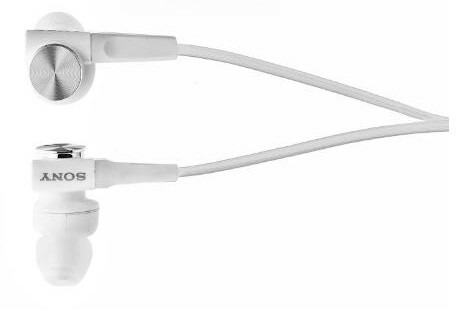 CX-275S is one of the best in-ear headphones below 2000 Rs. It is available for purchase at Rs 1600. The Rockerz 400 headset from boAt supports up to 20 kHz sound frequencies. It is a wireless device which you can pair with Bluetooth enabled mobile devices. boAt Rockers 400 packs a battery which offers up to 480 minutes of backup power. The headset features a 3.5mm jack which will come in handy when the battery of this device is running low on power. It includes a large 40mm driver. The Rockerz 400 headset weighs about 110 grams. It is comfortable to wear. Flipkart is selling this Boat headset for Rs 2050. JBL has designed this budget headphone to deliver the best audio experience. This JBL device has a pure bass technology based premium drivers and it weighs about 30 grams. JBL T250SI ships with large earbuds to eliminate external noise disturbances. It has an impedance of 32 Ohms. It lacks a microphone module. T250SI supports sound frequencies of up to 20000 kHz. As this device offers mind-blowing sound experience, it is one of the best over-head headphones under 1500 Rs. You can purchase this wired headphone in black color option for 999 INR. Pulse Max is yet another popular name in the world of headphones. It is stylish as well as powerful. This Motorola headset is a wired type foldable device. You can use it with mobiles and computers as it is a DJ style headset. Like all other devices we’ve covered here, the Pulse Max headset includes a 3.5mm port. Hence, you can connect it to all types of mobile devices, mp3 players, etc. This headphone has 32 Ohm impedance. It offers 3.5mm Audio Jack and features a 1.3m cord. It has soft cushions. Hence, the earphone will not hurt your ears. Maximum sound frequency supported by this headphone is 23000 Hz. Motorola has introduced 3 color variants of Moto Pulse Max. The headset costs 2300 Rs in India. PX 80 is an over-head headphone with trendy design. It is fitted with a 4.5 feet cable along with a 3.5mm headphone jack. It supports max frequency of up to 27K Hertz. Users can fold Sennheiser PX 80 if they want to carry it outdoors. This device can play max 114 decibel sound. Its volume is loud and sound clarity is amazing. It is one of the best earphones under 1500 Rs in India. PX80 costs INR 1700. C300SI is an over-ear headphone that boasts a nice design. This device employs JBL’s clear sound technology, which helps it in delivering a high-quality sound experience. C300SI is comfortable to the ears as it has soft earbuds. It has a 1.2m cord and 3.5mm audio Jack to support connectivity with mobile devices. Like the above headphones, JBL C300SI has received excellent ratings from its buyers. Hence, it deserves to be counted among the top on-ear headphones under 2000 Rupees in India. 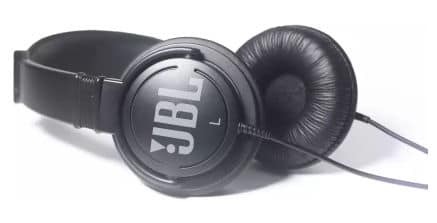 JBL C300SI headset is priced between 1100 to 1200 Rs on Amazon. Conclusion: Sennheiser PX 80, CX275s, boAt Rockerz, Motorola Pulse Max, JBL T250SI, C300Si, Sony MDR-XB450, and XB50AP are the best headphones under 2000 Rs. 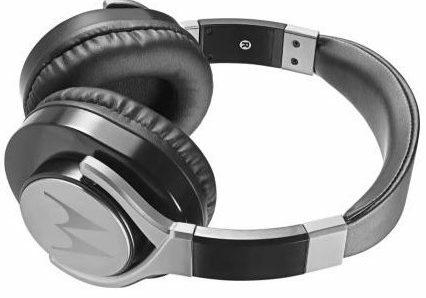 Which is the best headphone to buy snny mdr 250 or jbl 250si? Hello Pramod! This is Yuvraj. I have motog 3rd gen phone, can you suggest good bluetooth headphones, price should be below 2k. Don't know where to post this,,,,Can u suggest me some good camera between Rs.5000-10000? ?…..